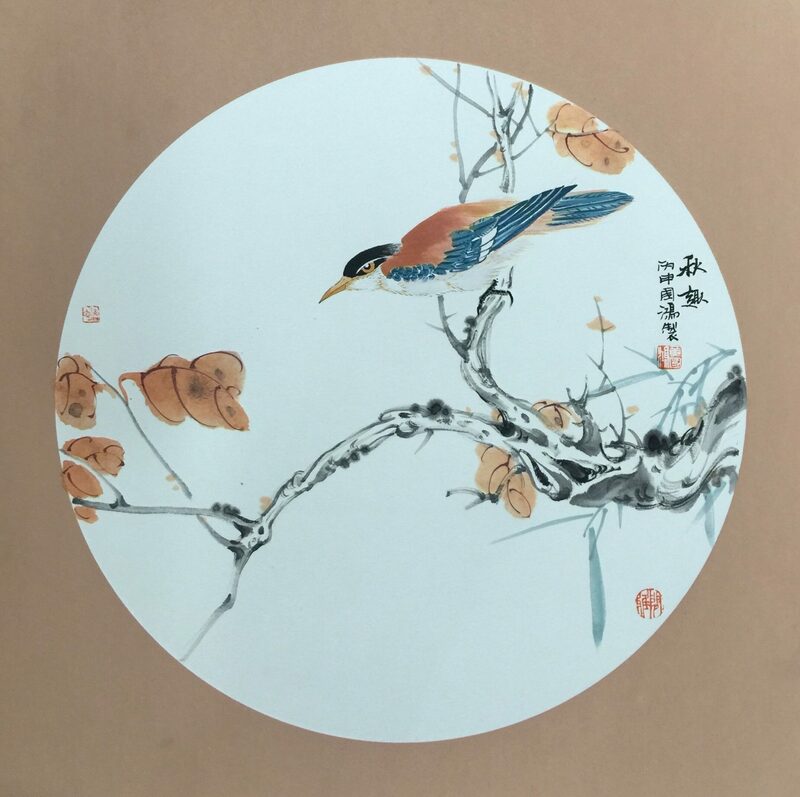 Huang Guohong — Painting makes me live in peace! 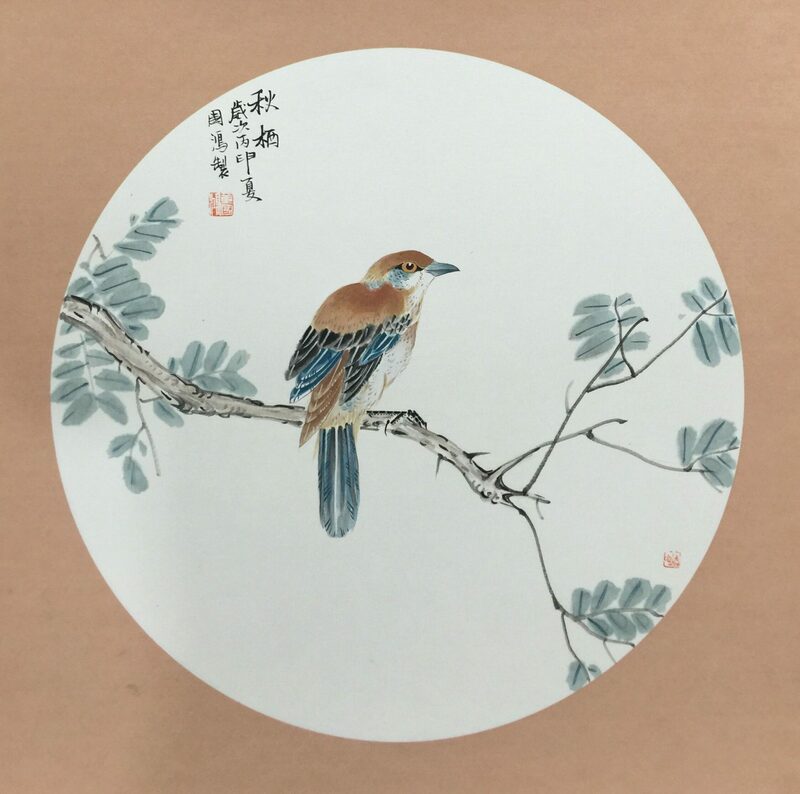 In this article, Huang Guohong (黄国鸿) tells us about Chinese GongBi detail Painting. 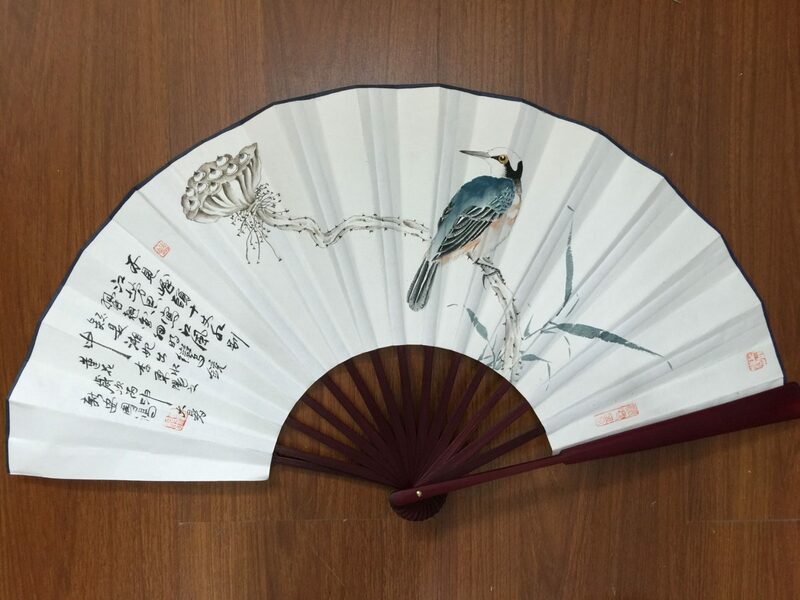 Shexian, Huizhou, near Huangshan (Yellow Mountain) in Anhui province has long been recognised as one of the most important centres for Chinese painting, as well as home also to Old Hu Kai Wen Ink workshop and traditional inkstone workshop. We asked the Shexian painters to tell us about their techniques and materials. 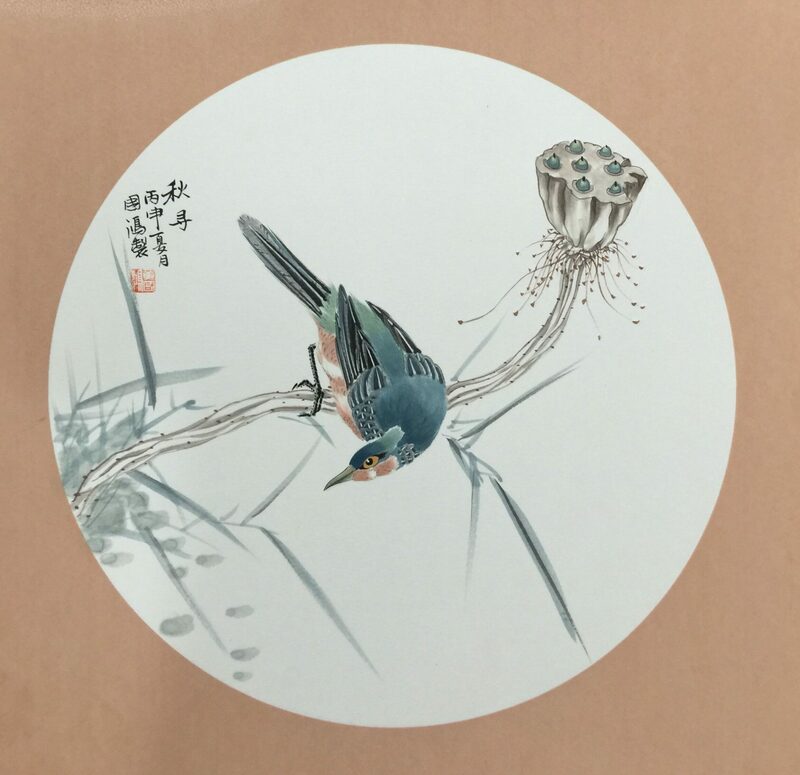 Huang Guohong is a representative of the Xin’an school of painting which originated here and started learning GongBi painting at the age of 6. 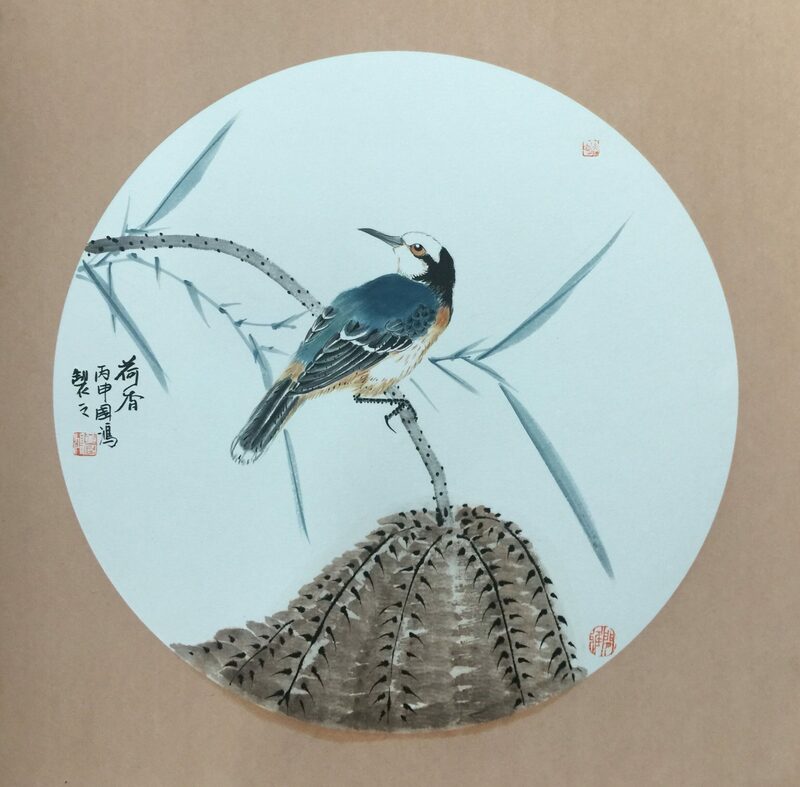 You can also read more about GongBi painting here. Here Huang GuoHong does a quick sketch for us on gold fleck paper while talking to us about his painting (transcription below). I was 6 when I started painting. It was my father’s influence, not my own initiative. When I was six, I was in my first year at school. One day, in my school art class, I drew a horse but when I took it home my father told me it wasn’t right, horse’s hooves are not like long feet. my father enlightened me rather than any teacher. I was at that time I really started to be very interested in painting. When I was in my third year at school, there was a drawing teacher in my town. He also teaches Chinese. He is very good at drawing. From this time on, I spent my daytime studying at school, and nighttime learning drawing with this teacher. 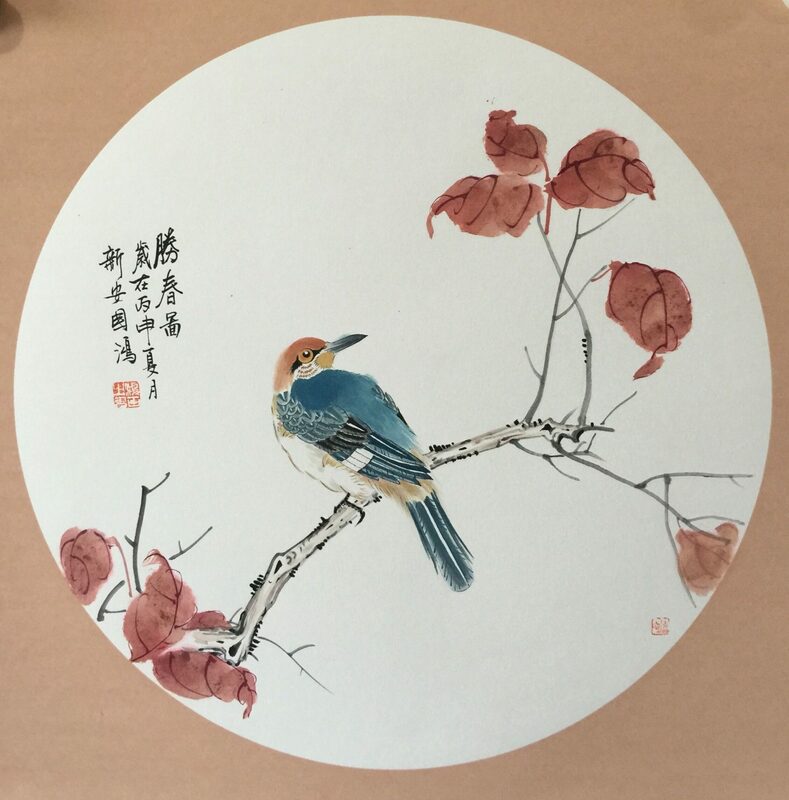 He taught me about basic drawing skills and knowledge about Chinese painting. Little by little, I became a career of being a professional painter. Later, I entered high school. At that time, my family is too poor to afford me drawing because the brushes, inks, and papers were not cheap. What could I do? I started to make the most of everything I could get to draw, such as colored pens, pencils, etc. When I grew older and was able to make money, I used all the money I could make on painting materials. I still remember clearly that at that time I would go to a very far shop on bicycle to buy a sheet of Xuan paper. Of course, if I got enough money, I would buy Xuan paper, otherwise, I would buy grass paper – a kind of cheap paper and not as good as Xuan paper, or worse and cheaper papers. In those years, I used up all the paper I could get at home. I drew at any blank places at home. 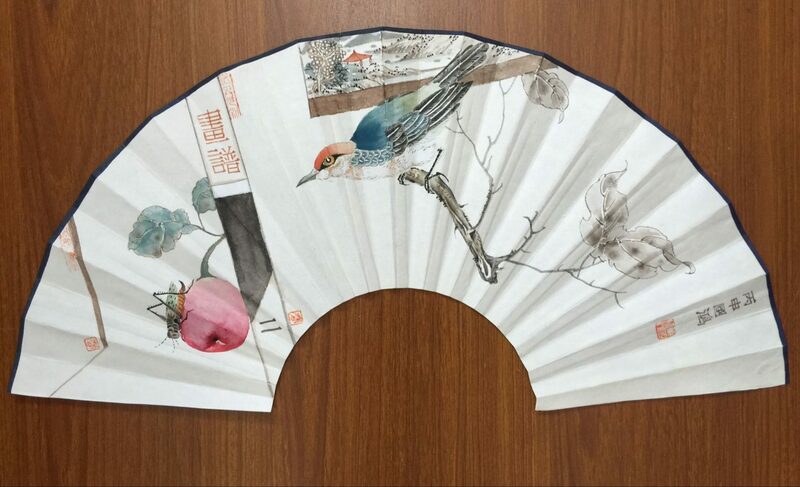 Xuan paper is a must-have material for Chinese painting. 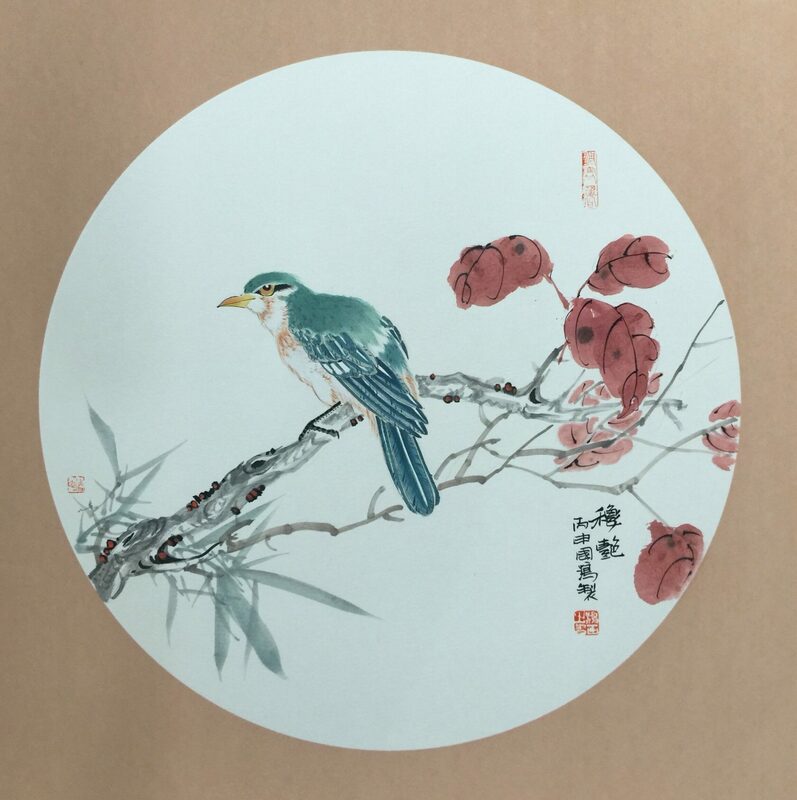 However, since there are different kinds of Xuan paper, using which kind is up to the painter’s idea on the painting and how well the painter masters the paper. The use of brushes is mostly up to the painter’s habits. There is no strict rules on painting. The most important elements are the painter’s inspirations and his own pursuit of arts. A satisfactory painting should envoy deep emotions and meanings. Each brush, color, ink, and lines should be powerful enough to resonate strong emotions in people. 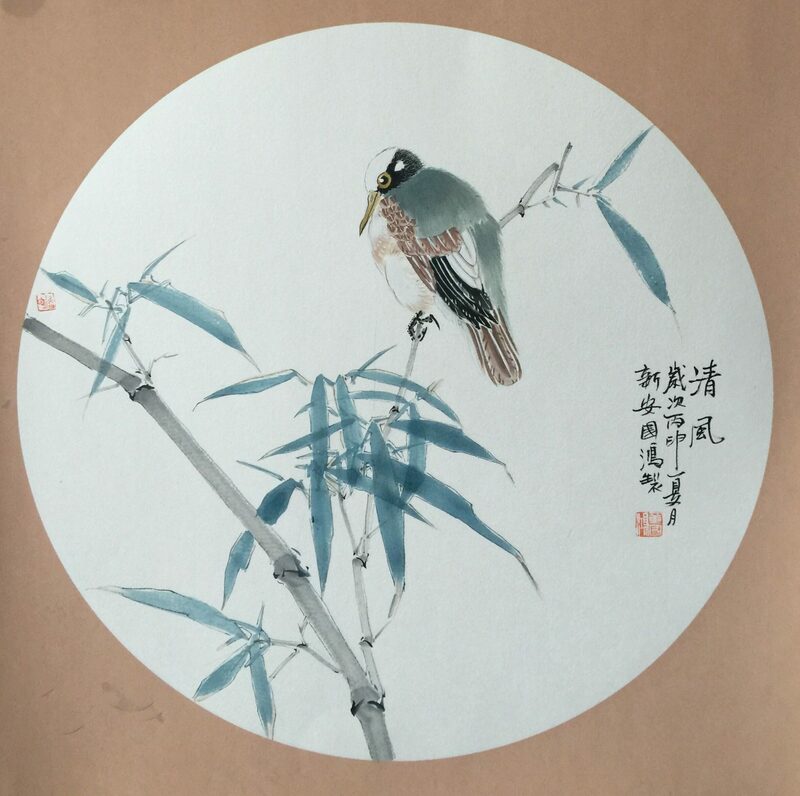 Chinese paintings are composed with points, lines, and surface. Also the use of Xuan paper and inks are crucial for a nice painting. Ink can be divided into five colors. How much water should be added into ink is up to each painter’s personal habits and how well he masters the skills. Chinese paintings make very good use of lines, which give Chinese paintings flesh and blood. This is very different from oil paintings. 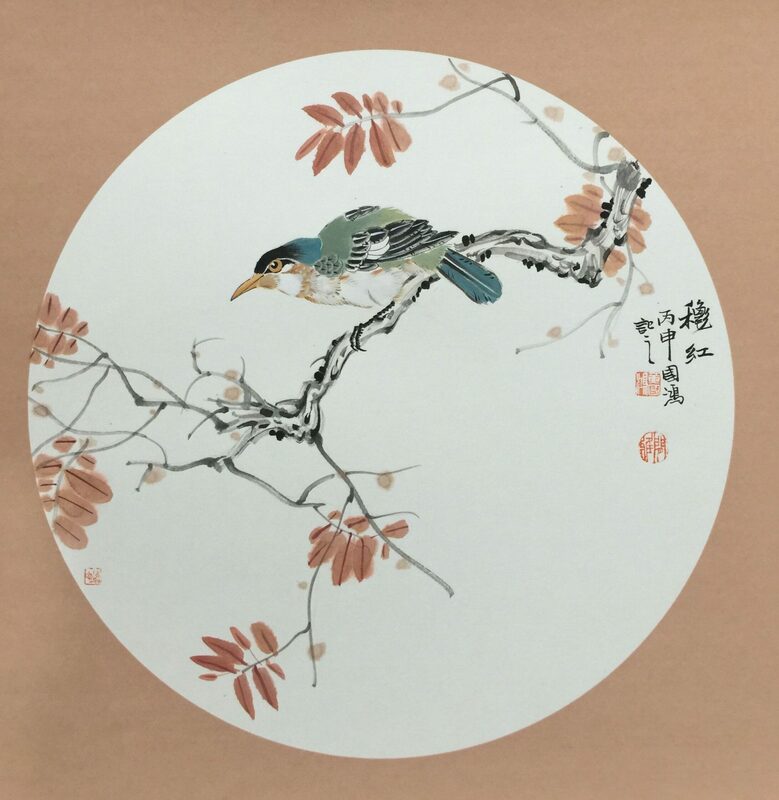 Chinese painting is quintessence of Chinese culture. Different people always have different ways to use Xuan paper, brushes, and ink. This makes each painting has its own characteristics. In different stages of your learning, you will have different styles. 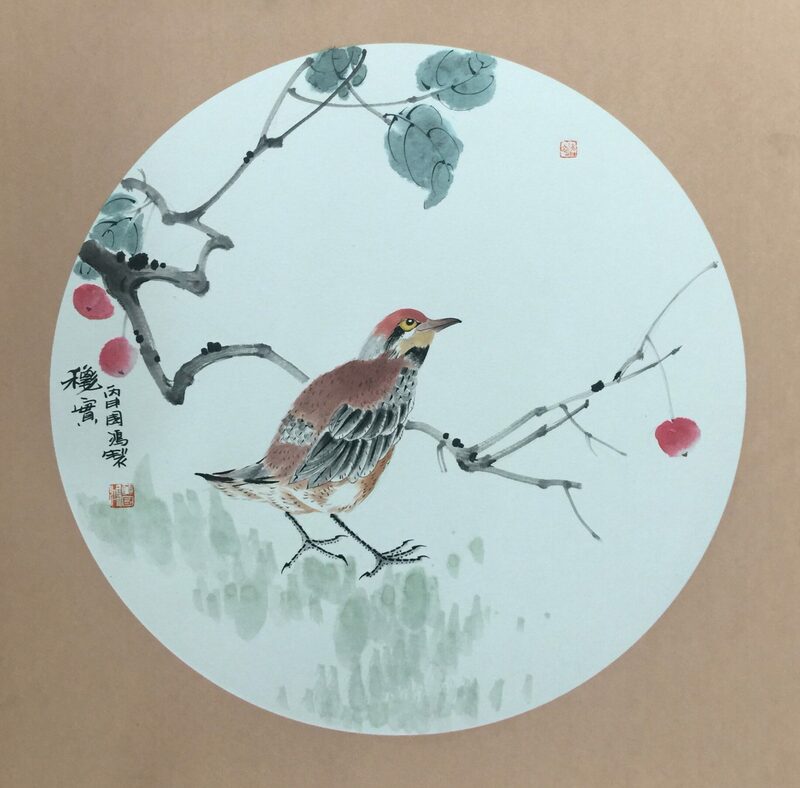 Some people might like Gong Bi Hua while other people prefer traditional paintings. 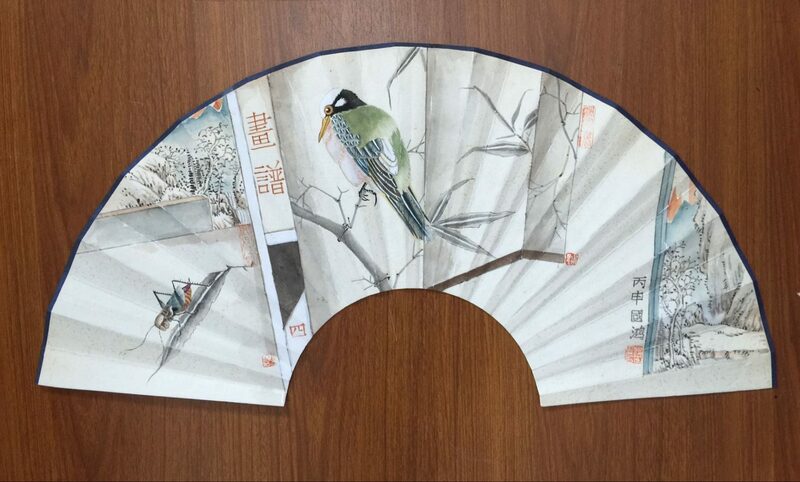 All Chinese paintings are developed from traditional types, which have very high-level skills. Paintings are mostly composed with points, lines and surfaces. Color only facilitate the painter to express his ideas. 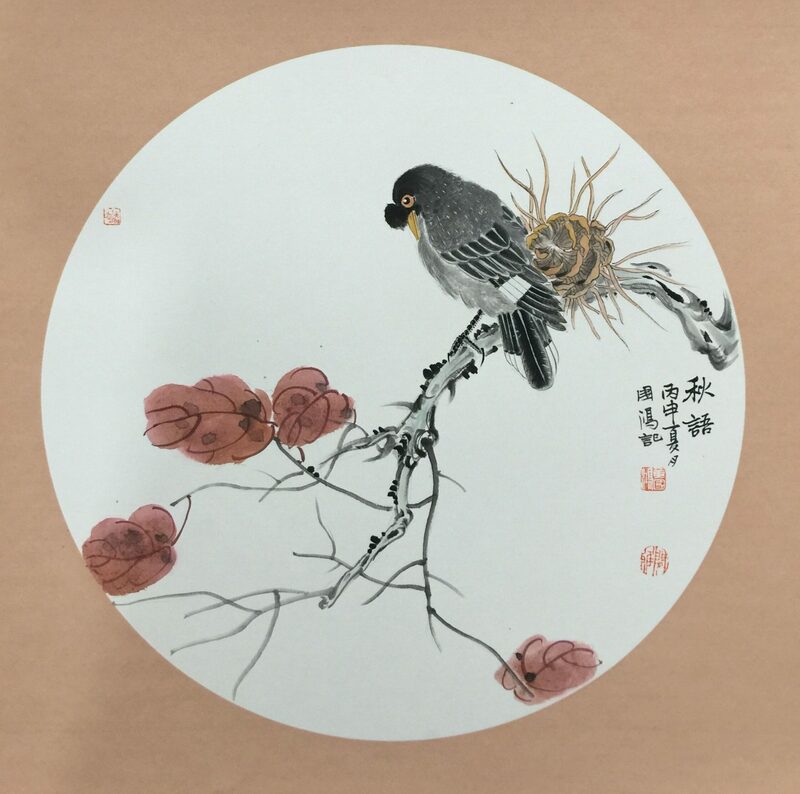 Chinese painting can be done without using any color but ink. The black ink can be made into at least five colors, different degrees of blackness. In fact, there are much more than five types of blacknesses. How to make most of the ink depends very much on your painting experience. I think we should have deeper understanding of ancient paintings and use these skills on our own paintings. In any case, the attitude is the most important to do a nice painting. For example, you should paint each line seriously and understand well why you want to paint this line in such a way. Every painting, as long as you try your best and do it without any secular purposes that you have to be famous, you will paint very well. When I was little, I painted simply for personal interest. Whenever I was and whatever I do, I always managed to paint. During the day I had to graze cattle, work in fields but I would sneak upstairs to draw. I was afraid to let my family know what I was doing at night because I had to use light to draw and electricity had cost. Later, when I was old enough, I started working in factories and was able to make a living on my own. I spend all my resources – time, energy, and money on painting. Now, I believe that painting should be treated seriously. It is not just an interesting thing as I thought when I was little. Chinese art is very complicated. Painting needs sincere attitude. Everyone’s ideas are different, so are the attitudes. We are still young and should make painting a serous career. We should also try our best to make Chinese culture develop better. Although this is a mission difficult to realize, we can start doing this from ourselves. I do the thing I love well, I paint well. I hope I can bring high-quality communication to other people. 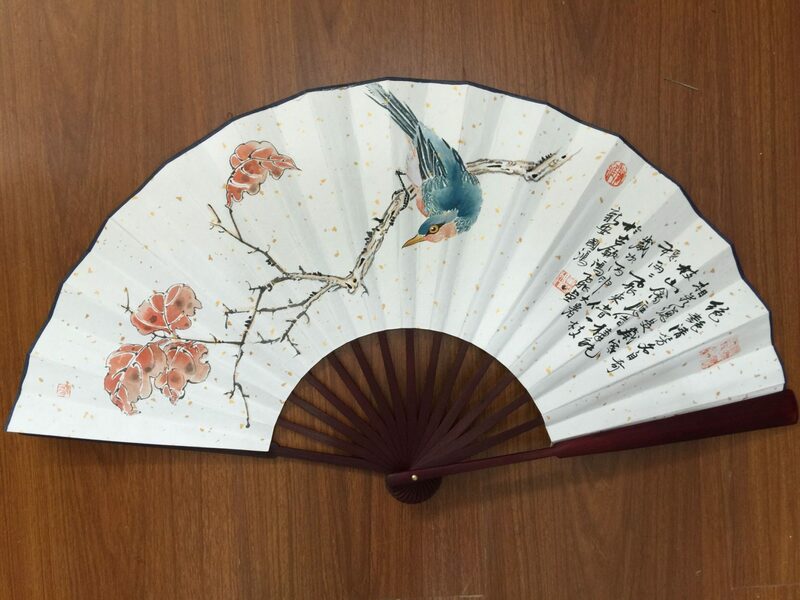 Anyone can learn Chinese painting as long as he/she likes it. There is no requirements. For beginners, you can start painting your favorite things. Relax and do not pay much attention to whether you draw it well or not. As long as you are happy, you will be able to make progress. After you finish your painting, you should sign and stamp it. Then, a painting is completed.